Amongst the rolling hills of the Gold Coast Hinterland lays the Huntington Estates. 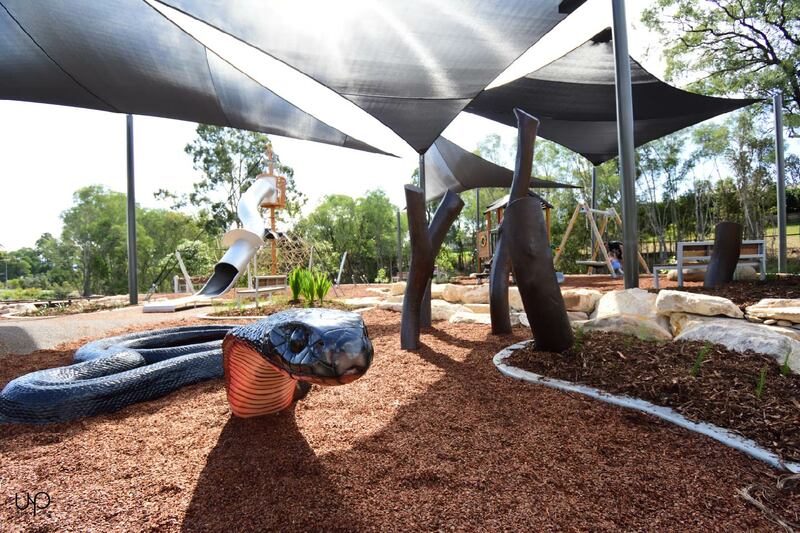 The new nature playground located in Gibirrngaan Park (Black Snake)at Huntington Rise was inspired by the rocky creek lines and the leafy well-timbered surrounds. 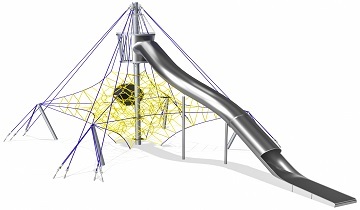 Filled with play pieces for children of multiple ages, the nature playground will be a drawcard for families looking to buy in the estate. 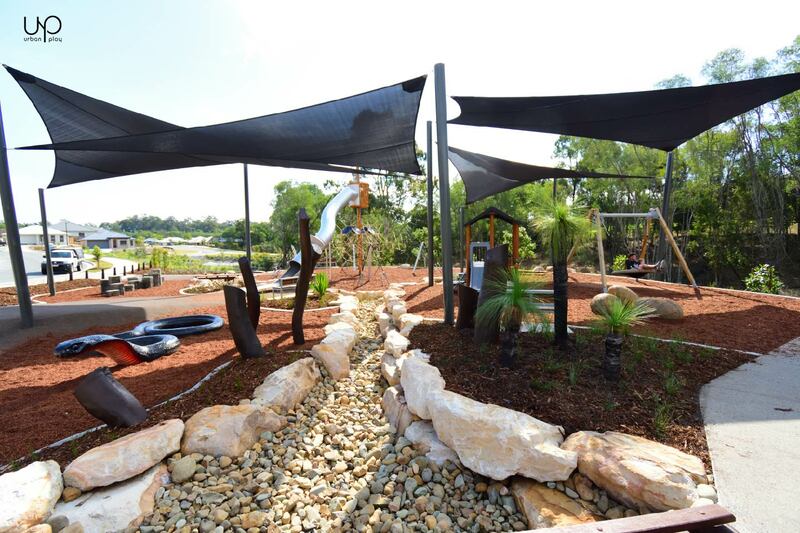 Children can climb the hemp and black coloured Octanet to the wooden Birdsnest where they can look out over the contemporary dreamtime themed playspace. 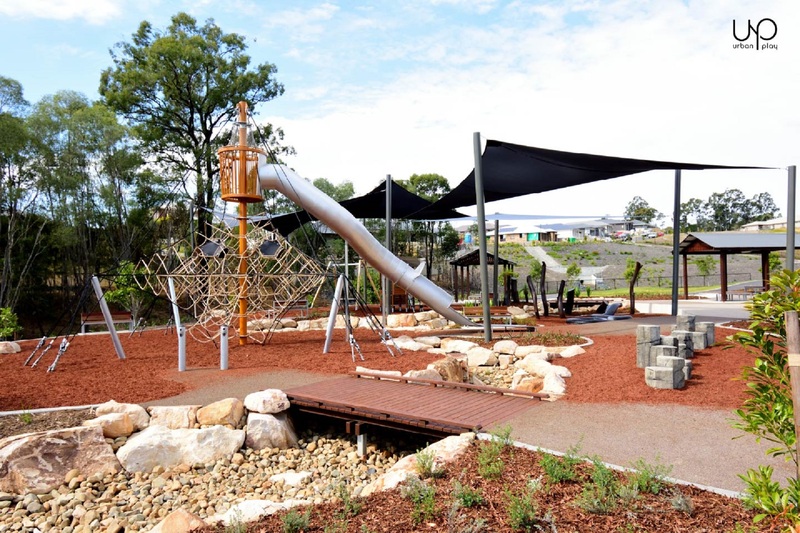 A neutral and soft colour palette was chosen to complement the themed playspace and was inspired by the surrounding 60 hectares of hinterland. 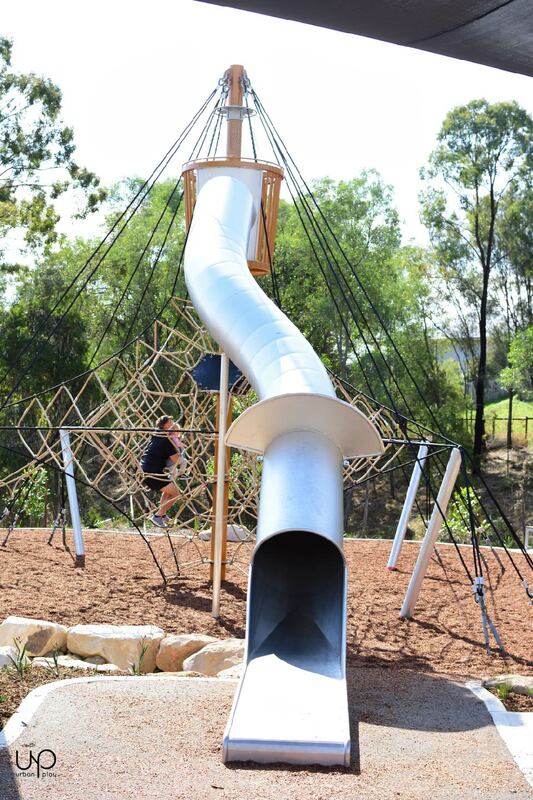 A slide from the Birdsnest protrudes over the dry creek bed where children can engage in nature play followed by a climb on the ‘Red Bellied Black Snake’. 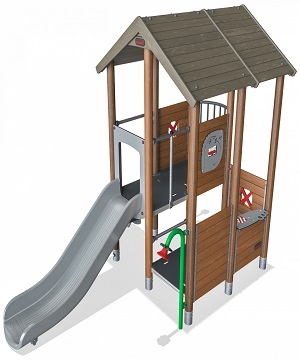 A KOMPAN Wooden Multi-Deck Playhouse is perfect for young explorers with a plastic slide, talking teletube and shop desk encouraging active play, social play, parallel play, role play and imaginative play. 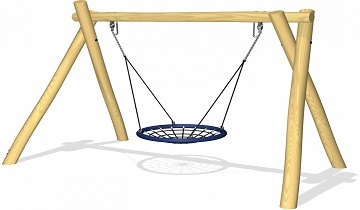 A Hemp and Black coloured Birdsnest Swing lets children and parents swing towards the sky whilst taking in the greenery of the estate. 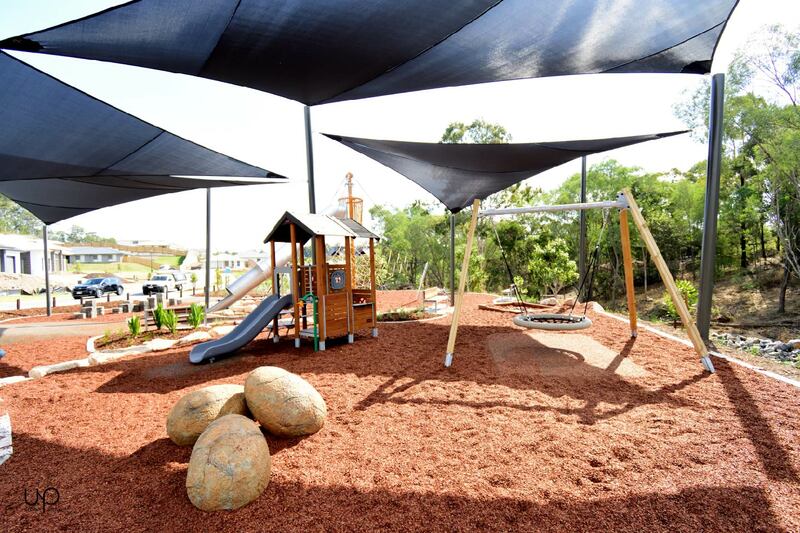 Urban Play worked alongside RPS, Interface Landscapes and the Dennis Family Corporation to create this playspace for the families of Huntington Rise.